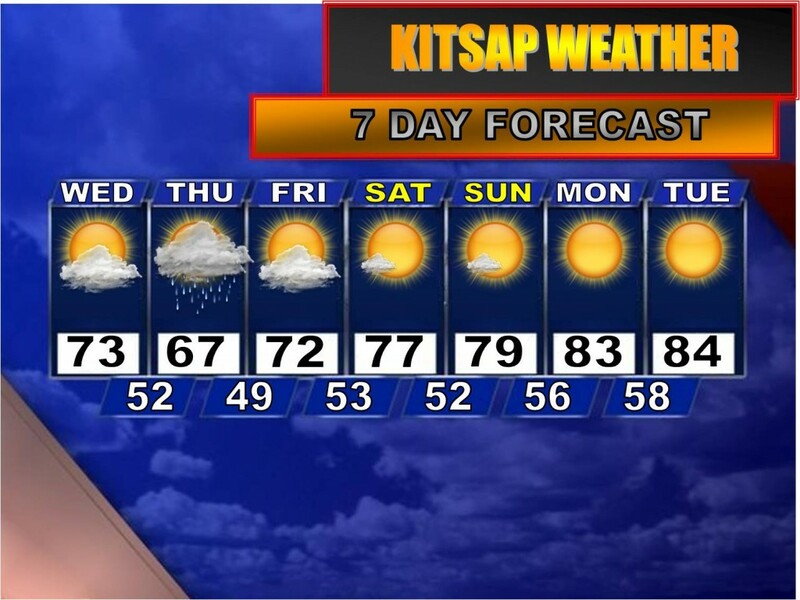 Kitsap to Enter “The Oven” Again? I don’t have a whole lot of time to write this evening, but I would like to say a few words about the things I’ve been seeing in the weather models for the past several days. Before I do, let’s talk about the rain totals from Monday night through this morning. We managed to pick up 0.09” of rain while Sea-Tac gathered a healthy 0.44”. If they can manage another .02” of precip, they will be the 2nd driest summer ever as opposed to the 1st. Still impressive! Ironically, while still the driest in history, they broke the wettest August 11th ever with 0.31” this morning with the previous record at 0.28”. Gotta love the weather around here! But back to my observations, it appears a massive ridge of high pressure will build over the Pacific starting this weekend which will allow temperatures to rise and skies to clear to not just mostly sunny but—SUNNY! For starters, this weekend will feature highs in the mid to upper 70s, but next week it looks like we’ll trot out the “mid to upper 80s under sunny skies” forecast again. Too soon to say if we could reach 90 again, but it is certainly possible. The pendulum keeps on swinging!